This advanced workshop describes the format and process of the standard neurological exam, with an emphasis on interpreting during the mental status assessment and handling neurological speech impairments. It provides case studies as well as role plays and video-practice scenarios. It also provides interpreters with basic knowledge of specialized neurological terms, common conditions and common procedures. Who is teaching? Juan Felipe Gutiérrez Sanín is the President of the National Institute for Coordinated Healthcare. In addition to a medical degree, Dr. Gutierrez also holds a master’s degrees in Public Health and another in Occupational Safety and Health Administration. A physician, public health professional, former interpreter and Language Access Coordinator, his extensive career has focused on improving access and quality of health services for low-income and underserved communities, particularly limited English proficient groups. 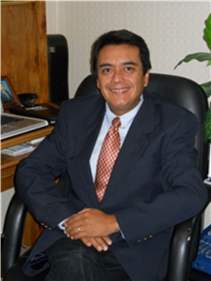 A nationally recognized public speaker and trainer, Dr. Gutierrez has trained interpreters and patient navigators through Western Kentucky University, The Cross Cultural Healthcare Program in Seattle, and Highline Community College. Dr. Gutierrez is a founding member of the board of directors of the South Eastern Medical Interpreters' Association and has also served as Washington State's Vice-Chair for the International Medical Interpreters' Association. When? Saturday, August 20, 2016, 9:00 – 3:00 with an hour for lunch. Class from 9:00 a.m. Check-in at 8:30. PLEASE ARRIVE AT 8:30 a.m. to check in. Click on the Register button and pay online. If you wish to register by mail, your registration must be received by August 17th. Fill out the online form and send your payment via regular mail to the address on the invoice. There will be no late registration and no on-site registration for this event. Refunds? We regret that no refunds can be given after August 17th, 2016. A $10 processing fee will apply for refunds requested on or before August 17th. Directions? Directions to Valley Medical Center can be found at http://www.valleymed.org/About-Us/Directions-to-Our-Campus/. The Medical Arts Building is located in the northwest corner of the VMC campus. See a map at http://www.valleymed.org/uploadedFiles/valleymedorg/About_Us/VMC-Extended-Campus-Map.pdf. The auditorium is directly adjacent to the front entrance of the Medical Arts Building. CE credits? 4 CE credits have approved from the AOC. 5 CE credits have approved from the DSHS and ATA. Continuing education (CE) credits are now being required by DSHS, CCHI and the NBCMI to maintain interpreter certification. This section will be continually updated as credits are received.Certificates of Attendance will be awarded to all who arrive on time and stay for the entire workshop. Anything else? In order to keep the cost of this workshop low, no refreshments or lunch will be offered. There is a cafeteria at Valley Medical Center, and one hour will be allotted to participants for lunch. If you require accommodation, please contact the NOTIS Office Manager (officemanager@notisnet.org) at least 3 weeks in advance, if possible. Questions about class content? Please contact Juan Gutierrez at jfgutierrez@nichc.org.